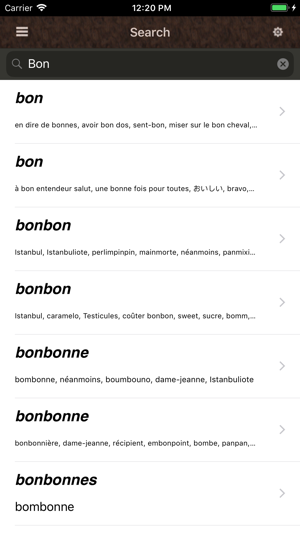 A French Language Dictionary iOS app. 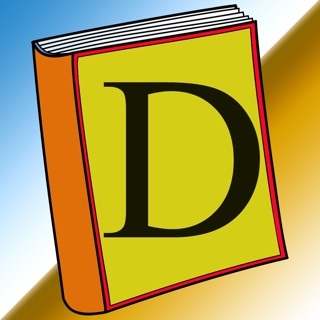 Contains more than 36 thousand word definitions. already fluent in the French language. - Localized to over 12 languages - is that fine to say “Compatible to more Than 12 langages” ? 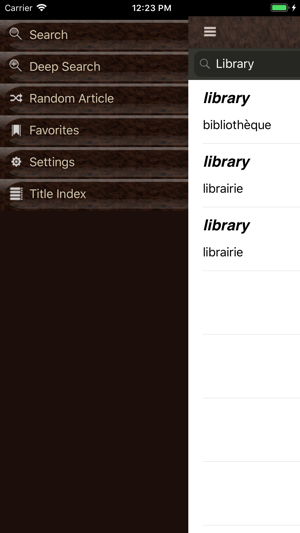 I use this to study french, ot's great for flipping back and forth between ebooks. 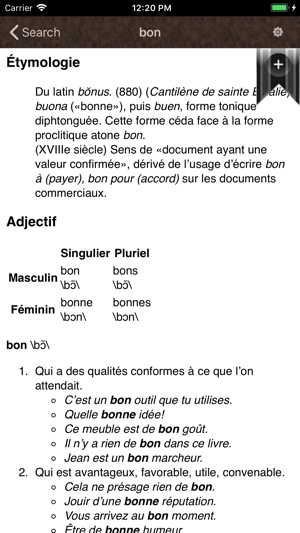 This is very useful, especially to one brushing up on his french. I'm surprised that in the ratings section no reviews are shown when there are actually some posted. I didn't realize this and I downloaded thinking "no news is good news". 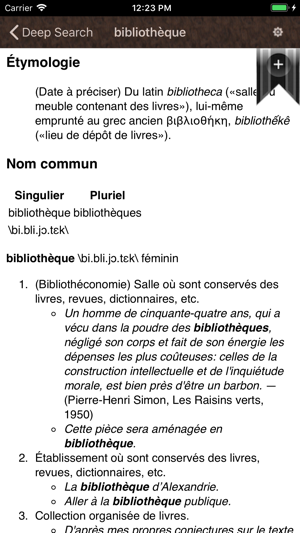 I read elegant French literature, both classic as well as non-fiction. Most words I look up in this app. 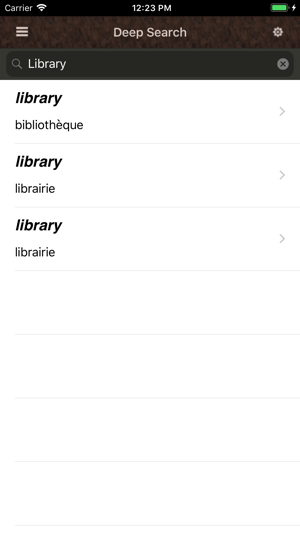 are not found while in word reference (free app) they are easily found. Don't waste your money!! !